Hours after South Bend, Ind. 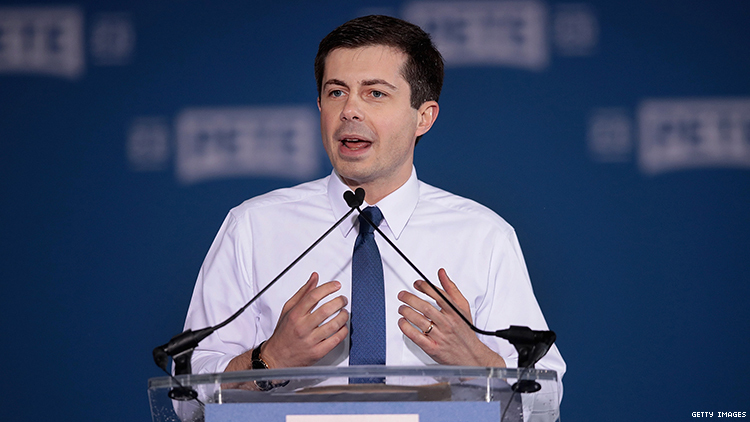 Mayor Pete Buttigieg formally announced he’s running for president, the out contender announced that he raised more than $1 million from supporters. Writer Edward-Isaac Dovere noted that fundraising prowess and attention shows a marked difference from when the Democrat first launched his somewhat quixotic campaign. Buttigieg’s exploratory committee proudly boasted about raising $120,000 in the first 24 hours in January. The committee ultimately raised about $7 million in the first quarter of 2019. In mid-March, the campaign announced donations had come from more than 65,000 donors from more than 20 states, making Buttigieg the first out candidate to qualify for a major party debate. Polling in Iowa and New Hampshire shows Buttigieg surging into third place in both those early states, behind only former Vice President Joe Biden and Vermont Sen. Bernie Sanders in the Democratic primary. In an online video, Buttigieg appealed for more donations. He’ll need the money to stay relevant in a crowded Democratic field of national figures like Sens. Elizabeth Warren, Kamala Harris and Cory Booker and numerous others. Being Buttigieg's first run for office on a national level, much of the money raised will be immediately invested in building out campaign infrastructure.